VALLEY, Virgin Gorda, VI- The Virgin Gorda Elderly Home will be the beneficiary of the 2nd leg of the Dive BVI 5K Series on Virgin Gorda this Saturday, February 27, 2016. The opening race on January 30, 2016 had raised $250 for Animal Rescue & Control (ARC) of Virgin Gorda. Registration is always free but cash donations are accepted for a community group or organisation on Virgin Gorda. “The community was so touched to see the wonderful volunteering efforts made in VG at the Elderly Home over last weekend. 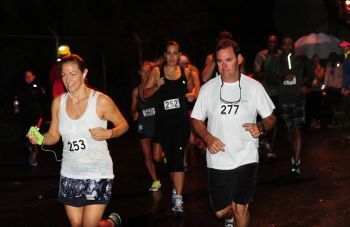 Much more is needed and our hands can only do so much, so now let's use our feet,” Race Organiser Casey McNutt stated. 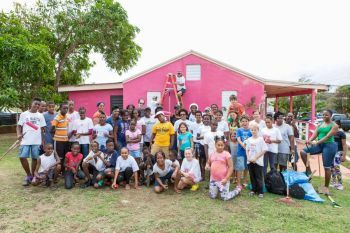 The Virgin Gorda Elderly Home was repainted last weekend through a community effort. “This Saturday at the 5K, we invite everyone to come out to support our VG Elderly Home and the beautiful people who live there - Dive BVI will match the donations from our participants in the event! Let's get out on the road together for some sweat and smiles,” McNutt further stated. Registration opens at 6:10am at the HLSCC parking lot in VG. Race starts at 6:30am. The opening leg of the Dive BVI 5K was won by Reuben J. A. Stoby, who suffered his first loss in a 5K in over a year in the first leg of the Blenheim Trust 5K on Saturday February 20, 2016. Maria Mays won the ladies division. no grudge, but why does everyone has to raise money for goverment own things and we pay taxes?. The NDP just aint sayin a thing anymore..until there is a leadership change in the VIP, the bvi is doomed. who asked you for a donation?